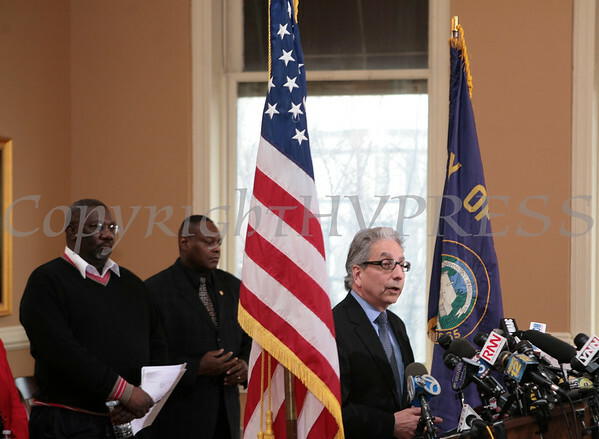 City of Newburgh Mayor Nicholas Valentine addresses the media on Wednesday, April 13, 2011 in Council Chambers at City Hall, the morning after Lashandra Armstrong drove her minivan into the Hudson River, killing herself and her three children. One child, Lashaun Armstrong survived. Hudson Valley Press/CHUCK STEWART, JR.